Take a privately led excursion to several heritage sites of Bali, including the temples of Tanah Lot and Taman Ayun. On this full-day tour you’ll stop by Kintamani Volcano (Mt Batur) and the holy spring temple of Tirta Empul, named for the water source located within. Your knowledgeable driver-guide accompanies you to several artisan villages and a coffee plantation. Transport by private vehicle is included. local driver/guide will pick you up for your private full-day tour from your accommodation at 9am. Your Guide will discuss your tour with you before you set off for the day. Firstly you will drive to the Tanah Lot Temple which is about a 45 minute drive away. This temple is claimed to be the work of the 16th-century Dang Hyang Nirartha. During his travels along the south coast he saw the rock-island’s beautiful setting and rested there. Each of the sea temples were established within eyesight of the next to form a chain along the south-western coast. In addition to Balinese mythology, the temple was significantly influenced by Hinduism. You will then to visit Taman Ayun the royal family temple of Mengwi Kingdom. Taman Ayun Temple was built in 1634 by the King of Mengwi, I Gusti Agung Putu. Taman Ayun literally translates as ‘beautiful garden’ it is surrounded by moat. About an hour drive from here to Kintamani, you will have magnificent views of its caldera. 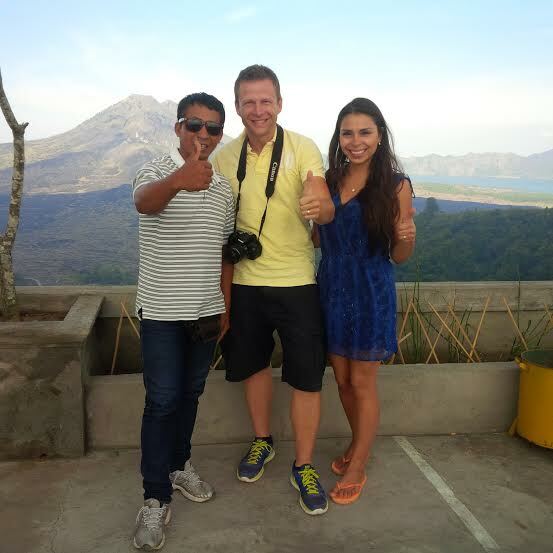 You will also have lunch while seeing the view of Mount Batur caldera. Before you back to your hotel at 7:00pm, you will finish your tour by visiting the Art Villages being Tohpati Village for Batik Art, Celuk Village for Gold and Silver Art, Batuan Village for Painting Art and Mas Village for Wood Carving Art.